‘Tis the season to decorate your home for the holidays. 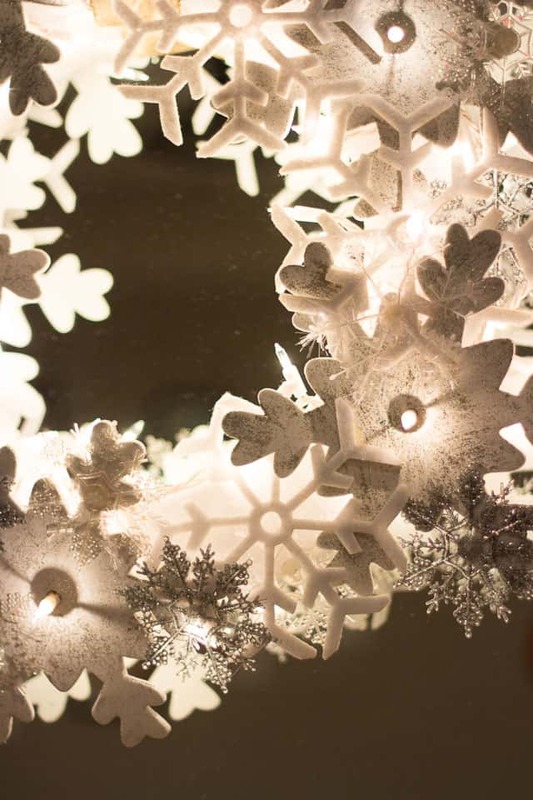 Snowflake designs are one of my favorite holiday decorations. They’re so pretty and festive. 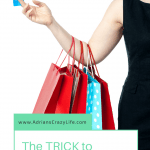 Best of all you don’t feel guilty if you leave them up clear into January or February. 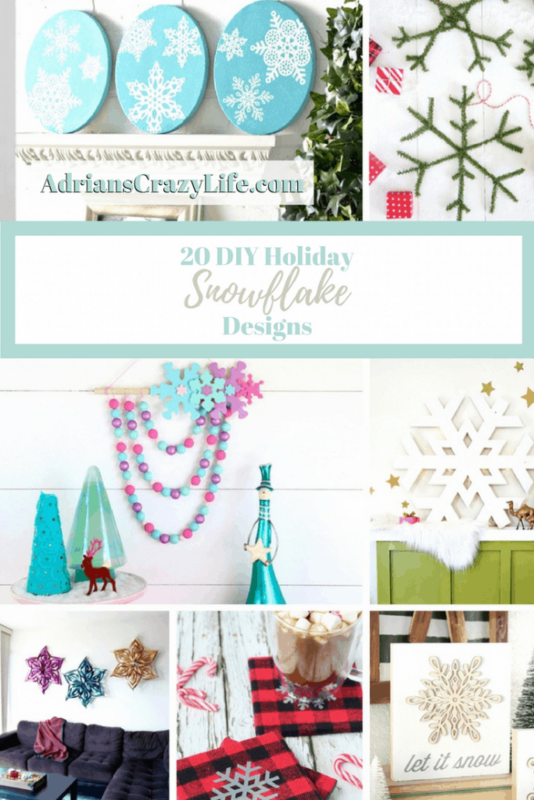 I put together this round-up of some lovely DIY Snowflake designs. 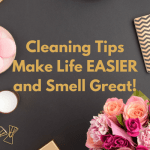 These are some quick and easy projects you can enjoy making with your kids. 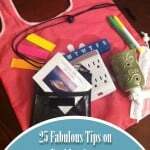 They would also make lovely gifts for friends or family. 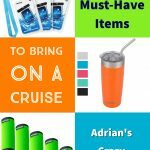 To see each item, you can click on the photo to go directly to the website with full instructions. I love the pastel colors in this lovely beaded wall hanging from Consumer Crafts. 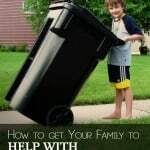 This is an easy one that the kids could help with. 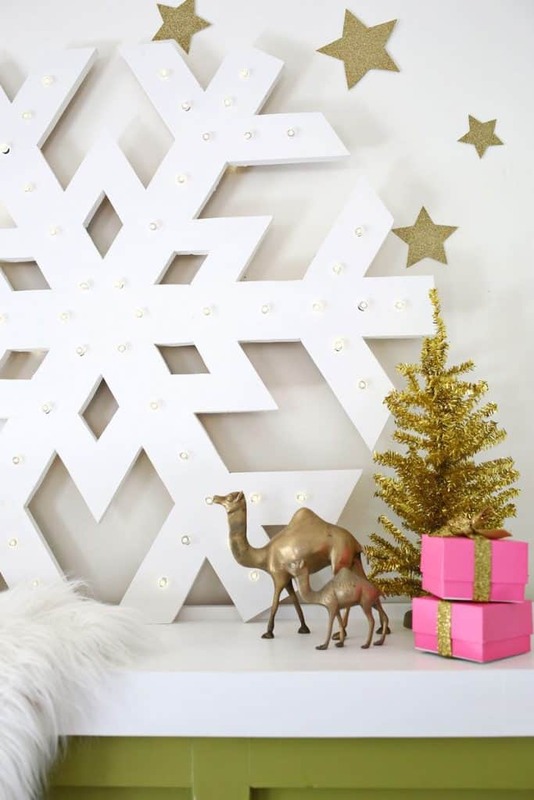 Then we have this oversized decoration from A Charming Project. These are made using scrapbook paper, so you could do some really cool things with different patterns. 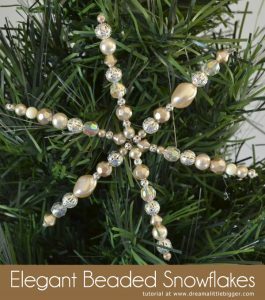 If you want more of a elegant look, these beaded snowflake ornaments from Dream a Little Bigger. I’m all about the sparkle! 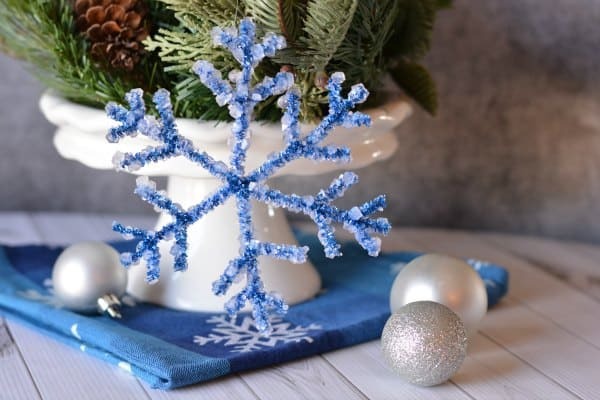 Pale blue and silver are my favorite Christmas colors, so this Ombre canvas snowflake from DIY Candy is one of my favorites. 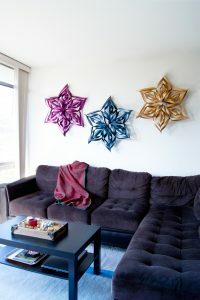 These wooden snowflakes from The Crafted Sparrow are very classy looking and looks like they’d be very simple to make. 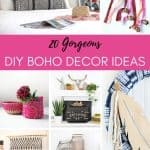 This wooden light up marquee from a Beautiful Mess is more of a next-level craft. I can barely cut straight lines. 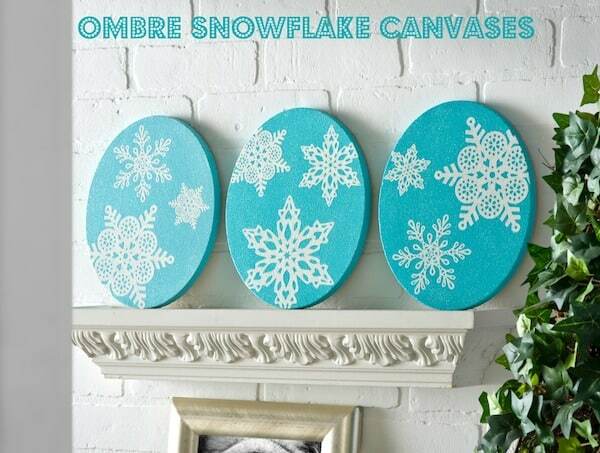 I don’t think I could cut out a pretty snowflake like this and not having it look completely off kilter. These are the ones I hand off to my husband. He’s the precision guy. But it’s sure pretty. 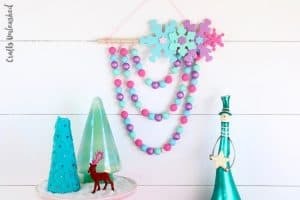 How ’bout some clothespin snowflakes from Destination Decoration. I think I’d do these in pretty colors. 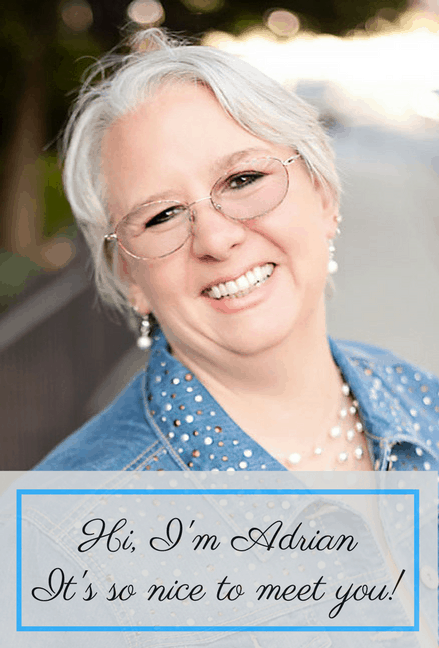 I alternate years – one year I do a pale blue, white and silver tree with sparkling bells, and the next year I do a red and white candy cane theme. This year is a candycane year, so I’d do these in red and white. 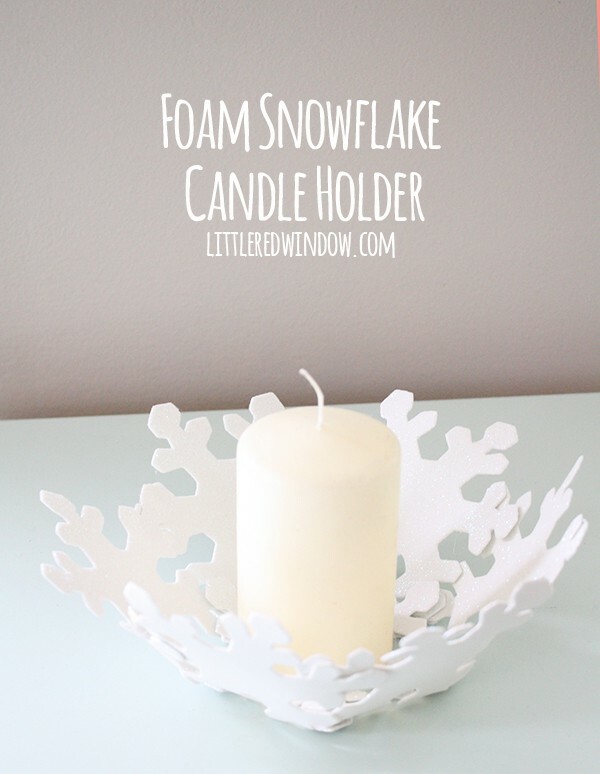 This Snowflake candle holder is a great dollar store craft that looks like it would come together really quickly. This would be ideal for neighbor gifts. It’s from Little Red Window. I have been obsessed with flannel lately. I think I’ve got at least six plaid flannel shirts that I layer all different ways. 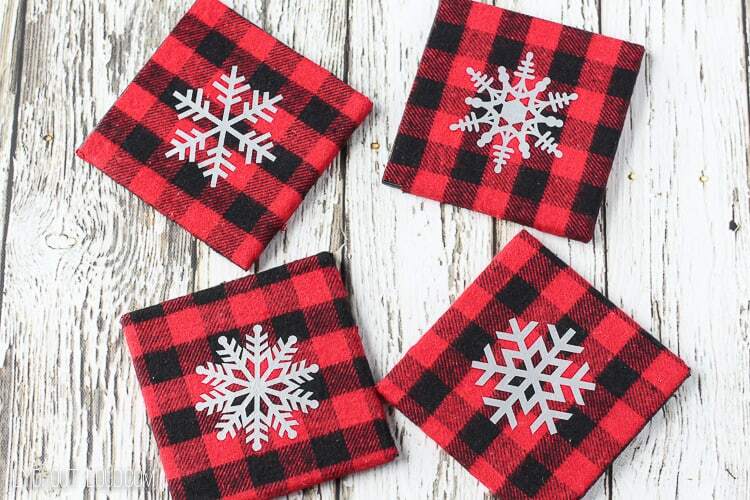 Lydi Out Loud lucked out by finding these cute buffalo checked towels at her Target Dollar Spot – lucky girl! 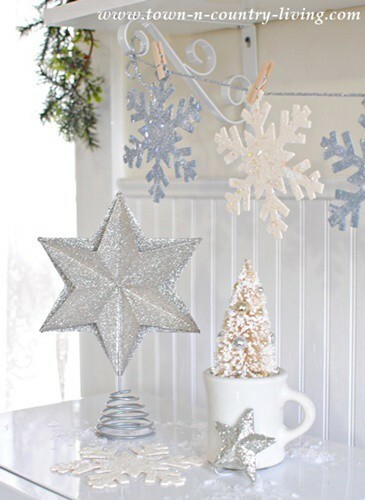 I’m loving these glittery snowflake ornaments from Town ‘n Country Living. This one brought back some memories. Remember those wood burning sets we used to have when we were kids? 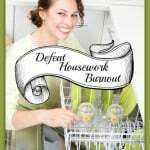 I haven’t seen one of these in years, but it’s a cute idea to use it to burn some snowflakes on a little round of wood from Cherished Bliss. 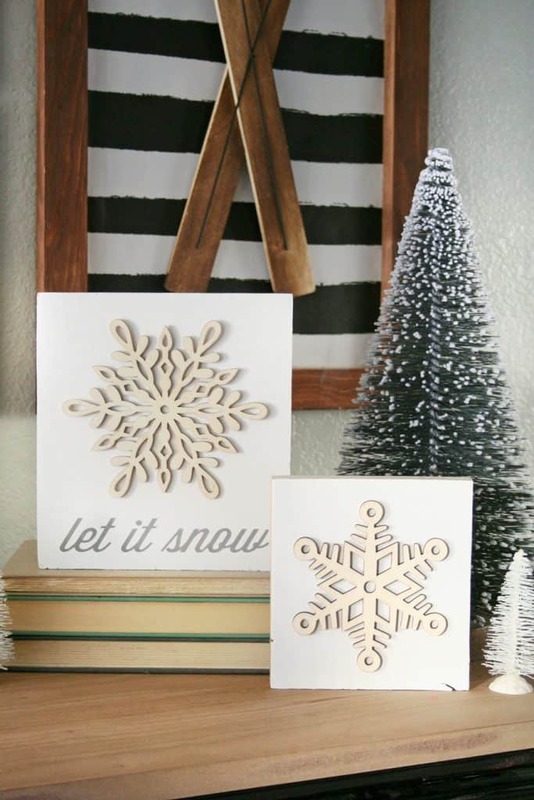 I have a friend who would really flip over this Scandanavian snowflake plaque from Crafts by Amanda. She’s decorated her whole house in this gorgeous Scandanavian color scheme – it’s so darling. Cute pastels and pretty delicate details like this. This next one from Growing Up Gabel is part craft project/part science experiment, so it’s extra-cool. 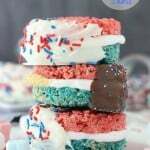 It uses pipe cleaners and borax crystals to create this pretty effect. 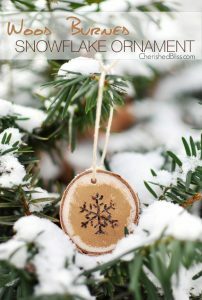 Checkout these pine snowflakes wreath from Camille Styles. They are quite simple, but very pretty. Next up we have some pipe cleaner coasters from Sugar and Charm. As you can see, this would add a festive touch to any party. 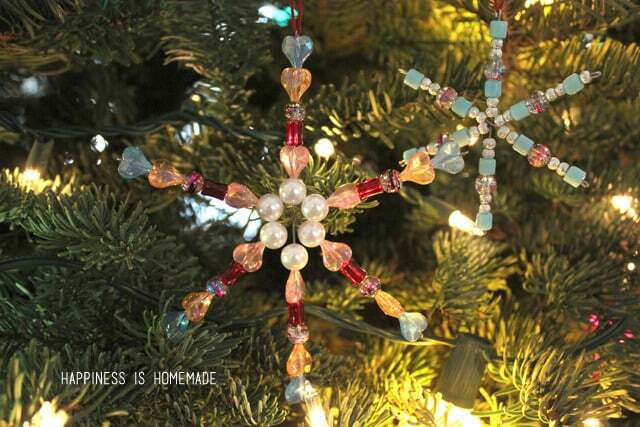 How ’bout some colorful beaded ornaments? These ones from Happiness is Homemade are pretty spectacular. 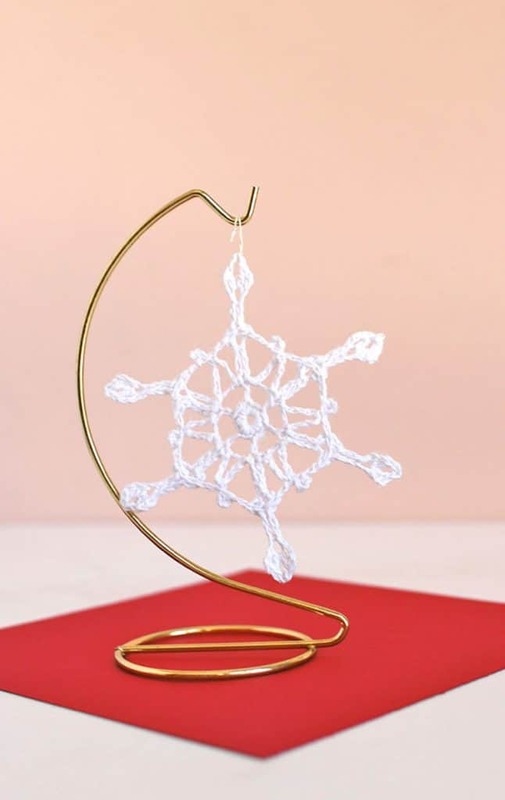 These are more of the traditional crocheted snowflake ornaments from Persia Lou. 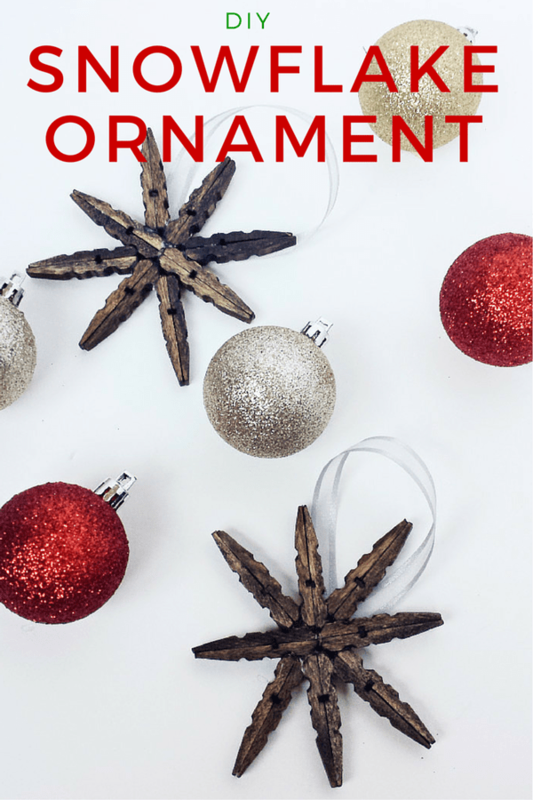 I’m a sparkly girl, so I like these sparkly ornaments from One Little Project. She made them with puffy paint and glitter. 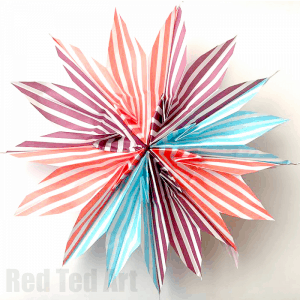 Coming up next are some snowflakes made from cute paper bags from Red Ted Art. Last up is a sparkly glowing favorite from Design Improvised. 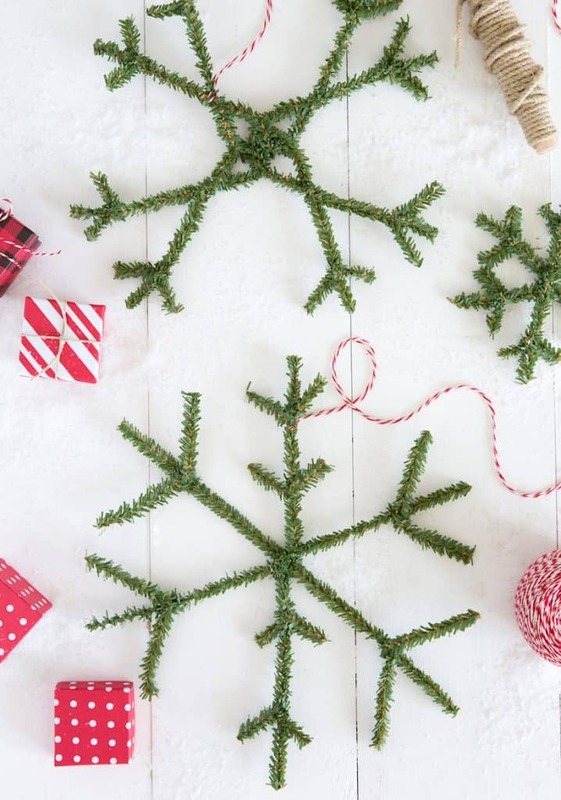 If you enjoyed this roundup, you might want to check out my other holiday roundup for 12 Christmas Tree-Shaped Foods. 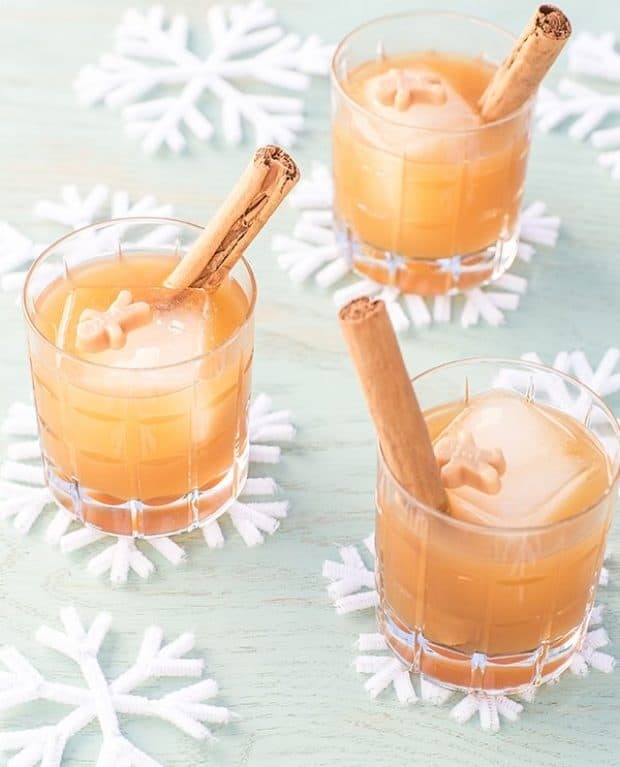 Lots of fun recipes for your holiday parties. 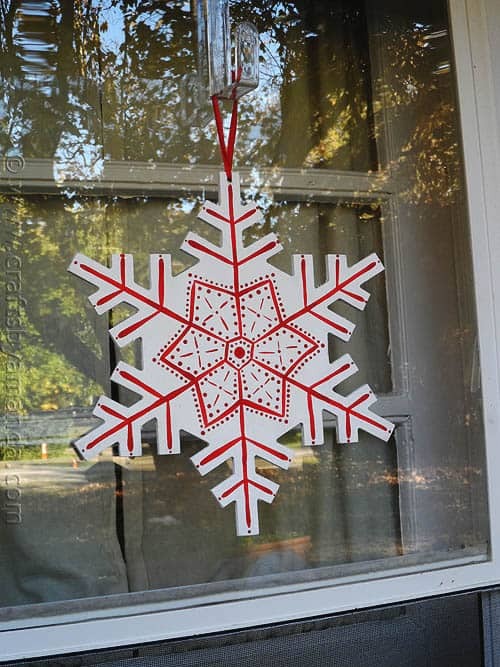 I hope you’ve enjoyed these great DIY Snowflake crafts. Feel free to leave me a comment. I’d love to know which one was your favorite! 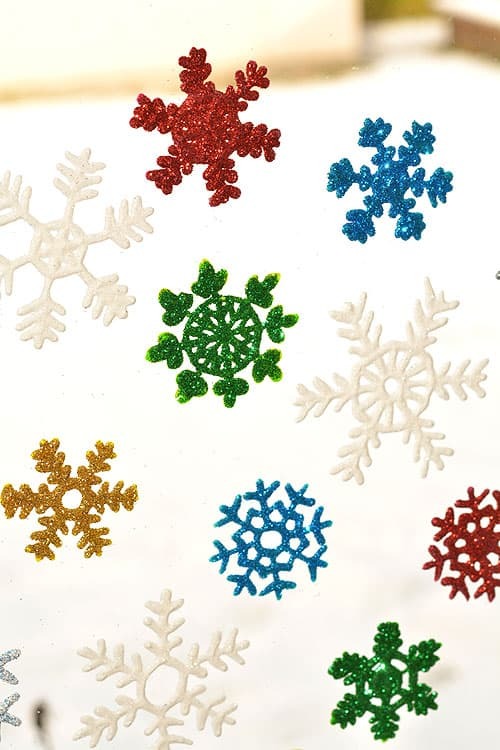 Wow, there are so many cute snowflake ideas! Love these! Thanks! I had a lot of fun putting that together.